Over the last decade and a half vocalist-composer-lyricist Maryanne de Prophetis has been developing her compositional voice. Her recent recording Tell A Star, represents nearly 13 years of a compositional style marked by wide imagination and emotional range. Maryanne is founder of the newly-formed label ENNArecords and is looking forward to more releases of quality music in the near future. Since 1982, trumpeter-composer Ron Horton has been an integral part of New York's flourishing jazz scene. He stands out as an exemplary instrumentalist and as a highly progressive composer and arranger. Whether leading of one of his own ensembles or called upon as sideman, he demonstrates his commitment to further expanding traditional perimeters of jazz. Pianist-composer-educator Frank Kimbrough has been active on the New York jazz scene for more than 30 years. With recent recordings on Newvelle and Palmetto he has also recorded as leader for OmniTone and Soul Note, among others. 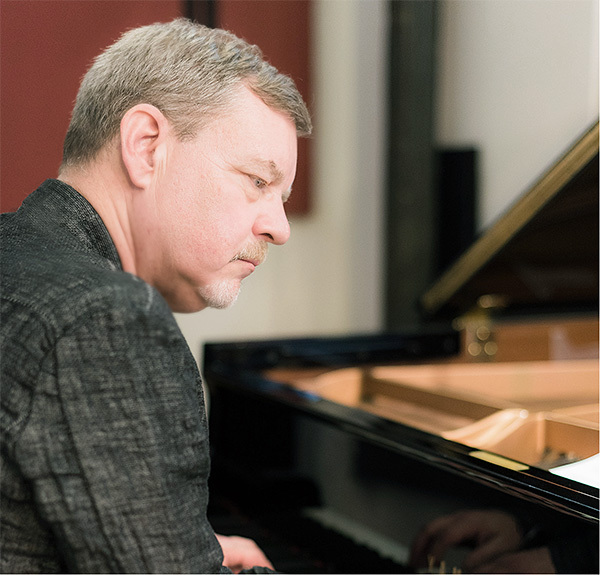 Frank was a founding member and composer-in-residence of the Jazz Composers Collective (1992 - 2005), and has served on the faculty of the Juilliard School since 2008. Frank’s distinctive playing has been recognized by the Downbeat Critics Poll each year since 2001. Drummer-percussionist-arranger Satoshi Takeishi is a native of Mito Japan. While studying at Berklee College of Music he developed an interest in music of South America. He spent four years in Colombia where he forged many musical and personal relationships. One of these was "Macumbia" with composer-arranger Francisco Zumaque in which traditional, jazz and classical music were combined.